For many men, like me, finding the perfect gift for my wife is hard. But, it doesn’t have to be. There are two surefire ways to surprise your significant other with the perfect gift that he or she really wants. Go shopping with your spouse and watch. 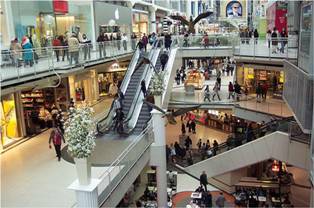 A friend of mind recently went with his wife to the mall, and he watched her as she browsed for jewelry, clothes, and other items. He took mental notes about every item that his wife picked up, looked over carefully, and then put back down. He paid special attention to the items that his wife made small comments about. Days later, he went back to the mall and bought some of the items that his wife was eyeing in order to have great gifts for her throughout the year. Doing this ensures that you do not buy her a gift that she will just return several days later. Save old gift ideas for a rainy day. Personally, I like for my wife to give me a list of several potential gifts especially around her birthday and Christmas. The more ideas she gives me the better. Then, I usually only buy her a few things off of her list, but I continue to hold the list of the remaining items throughout the year. My wife eventually forgets about the things that she’s mentioned to me as gift ideas after a few weeks. So, when I present the long forgotten trinket to her months later for no apparent reason, I’m a superhero husband. Knowing your spouse, paying attention to what he or she likes, etc. makes gift shopping easier. Having your loved one give you gift ideas throughout the year and constantly watching are great ways to always have the perfect gift ready to give when your spouse least expects it. So next time you are at the mall with your spouse, do not head to the couch in the middle of the department store. Follow your loved one around for brownie points and secretly for gift ideas months in advance.